Different perspectives on corporate social responsibility (CSR) exist, each with their own agenda. Some emphasise management responsibilities towards stakeholders, others argue that companies should actively contribute to social goals, and yet others reject a social responsibility of business beyond legal compliance. In addition, CSR initiatives relate to different issues, such as labour standards and corruption. 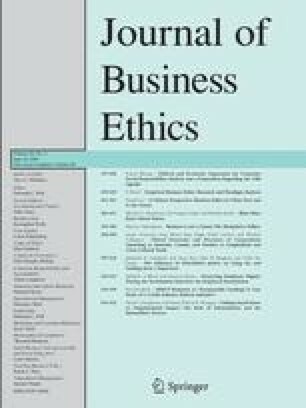 This article analyses what types of CSR initiatives are supported by political and economic arguments. The distinction between different CSR perspectives and CSR issues on the one hand and between political and economic arguments on the other could help to advance the debate on the justification and welfare impact of CSR. It is argued that ordinary boundary conditions for business behaviour in a market economy provide support for some, but not all, CSR initiatives. This has implications for policy priorities. Building on the analysis, it is proposed that more attention should be paid to the behaviour of large multinational enterprises in their normal business operations and to CSR issues with a potentially large impact on market functioning.